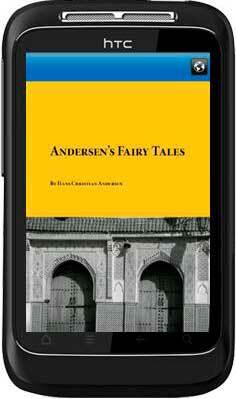 Andersen fairy tale 1 takes you walk into the fairyland which is fulfilled with good in all things. From the magic small tales, learn classical life theories. These stories make us access to the power of the original human nature. Let’s get approach to the pure and simple soul home. This book if the previous part of the whole Andersen tales means part 1. We made it with Android magazine app maker. With an audio file embedded in the first cover page, so if you flip the first page, you can listen to the wonderful music. 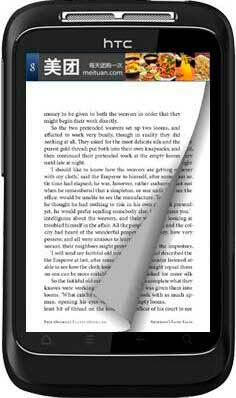 It is just demonstration for the function of audio-book. If you have manuscript in hands, you can add audio explanation for every story. All the valid hyperlinks in the PDF will be reserved. 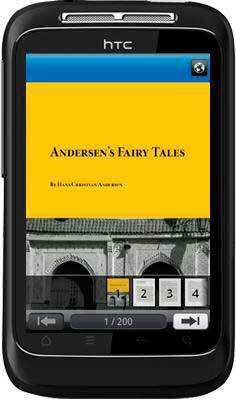 Please view below screenshots of Andersen fairy tale 1 which has been installed and ran in Android devices. 1 This is the cover page, I embed a demo audio file, when flip it, you can listen the music. 2 The below screenshot shows you the cover fullscreen mode, as you see the page list hided. 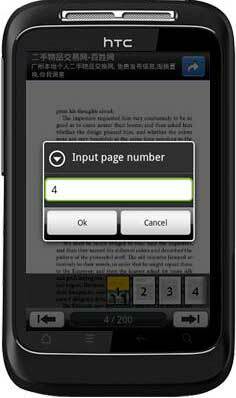 3 You can enter a page number to fast access to the page.